Followed by a Cabaret Show. We invite you on a trip down memory lane. You will be treated to the sound of great music from the 40s to the 70s… and expect a few surprise artists along the way. Be prepared for non-stop entertainment in a truly professional show. Please phone us on 0403 358 508 for available dates. 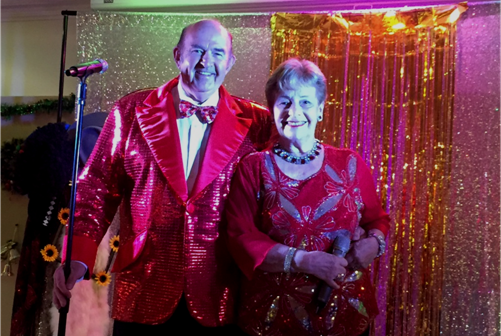 Peter and Rhonda have been wowing audiences since 2004 with their unique cabaret style show. If you love the caberet ‘classics’ & ol’time favourite sing-alongs with a dash of slap-stick comedy and visual gags… you best then attend! !